One of the things I noticed on my two trips to London this year, including a week-long “residency” at GBBF 2018 (! ), was the prevalence of “pale ale” in the market. Pale ale today in the U.K. performs the office of IPA here, a hoppy, dryish beer driven by New World hops. I think the reason for this, versus IPA as the staple non-lager, non-bitter, is the 4% ABV norm. It suits the British consumption pattern and tax rules. To be sure there is IPA in Britain, but the price and lower alcohol of pale ale make it more suited to the market. In contrast, in North America you don’t see the pale ale appellation all that often on blackboard menus. Our session IPA kind of fills that function, but the English pale ales are better because the aggressive hopping and light body of session IPA don’t really match, imo of course. The U.K. pales have lotsa hops but they do the two-step neatly with the light body rather than squash on its toes. These pale beers are a modern take on the gran-dads Sierra Nevada Pale Ale and Stone Pale Ale (still deservedly big sellers), with the indigenous Camden Pale Ale and Meantime London Pale Ale more recent inspirations. White pith citrus remains a signature but today often with traces of dank or mango. 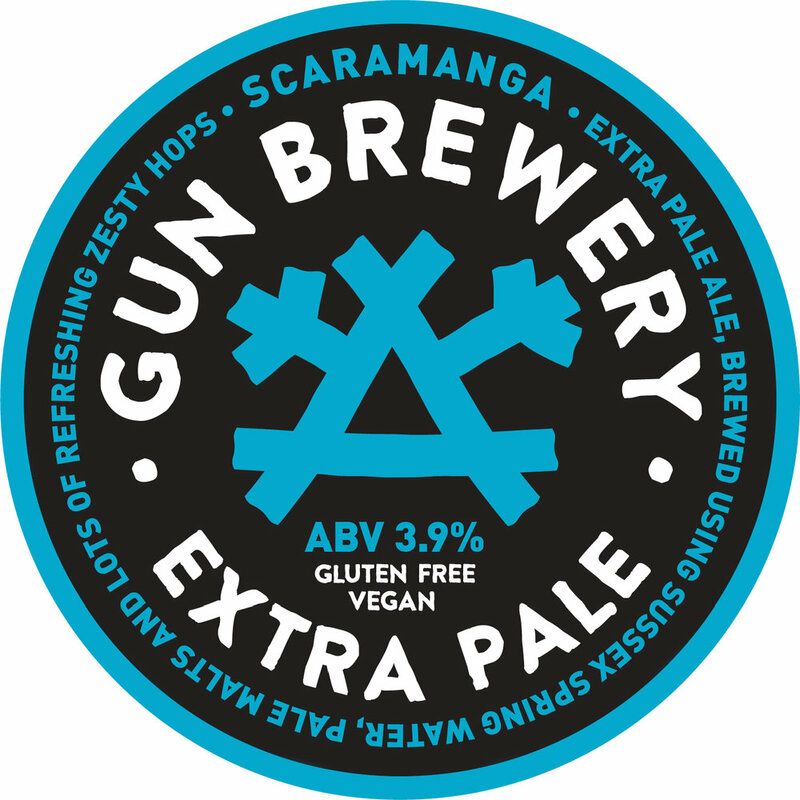 A typical example is Gun Brewery’s Scaramanga Extra Pale Ale. With the multi-syllabic name ending in a vowel I thought an Australian vibe might be intended. The explanation is quite other, as you can read here, a well-written précis of beer and brewery by BeerBods, the online beer club and growing media presence. The brewery sounds as cool and contemporary as the prose which brings it to life. I drank a pint in a Draft House in Hammersmith after a three-hour perambulation in the Goldhawk Road, Shepherd’s Bush and its market, and Brook Green. A better restorative, to dip into Michael Jackson’s mock Victorian idiom, could hardly be imagined. 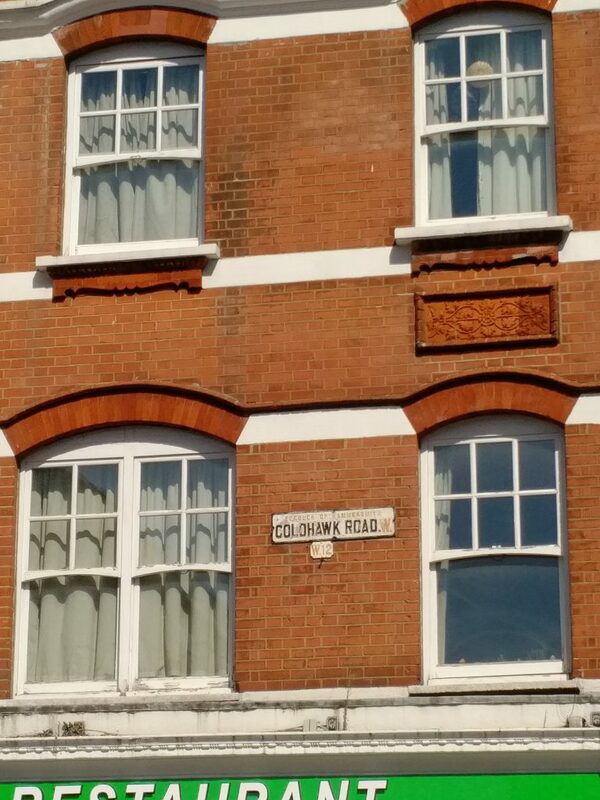 I had meant to pass by the former Goldhawk Social Club, a famous 1960s incubator for R&B and mod bands, not least The Who. I never got there, I knew where it was, further to Dalling Road coming from the east, but I had to turn back just short of there, not enough time. Speaking of Mr. Jackson, earlier on the trip we did visit his old Young’s local, The Thatched House, just off Dalling Road again but nearer to the high street in Hammersmith. It was a bittersweet experience. The Young’s Special Bitter was pretty good although not quite what I remember, and the décor seemed different. Things have changed since his day and the times I had met him there, but this is inevitable over a period of 20-30 years. Today in London there is English pale ale, the modern type, to concentrate the mind. He made it all happen, anyway. Enough said.